Nothing spices up a bland kitchen like a statement-making tile backsplash. It's a practical upgrade that adds unique flavor plus hardworking function to any cooking space. Whether your home decorating style is vintage inspired, modern or anything in between, we got your back. Here are 15 super-fresh ways you can use tile to take your kitchen to the next level. Can't get enough of the beach? Then your inner merperson will love fish scale tiles. They're the latest tile trend popping in photos of stylish bathrooms and kitchens across the interweb. Fish scale tiles in beautiful ocean hues were used to create this backsplash. We think it adds a lovely briny tang to an otherwise, plain-Jane kitchen. Practical and functional? Check. Stylish? You bet. Super easy to install? Yep. In fact, nearly anyone can create this showstopping backsplash using wood floor tiles by Mirth Studio. The first step is picking out tile. To achieve an eclectic look, select several different patterns in coordinating colors. This backsplash combines four different tile motifs in agreeable shades. Designing the layout is the fun part. To do place the tiles on a table or floor and arrange any way you please. Remember to take pictures of your favorite arrangements. When playtime is over, peruse your photos to select the ideal layout. 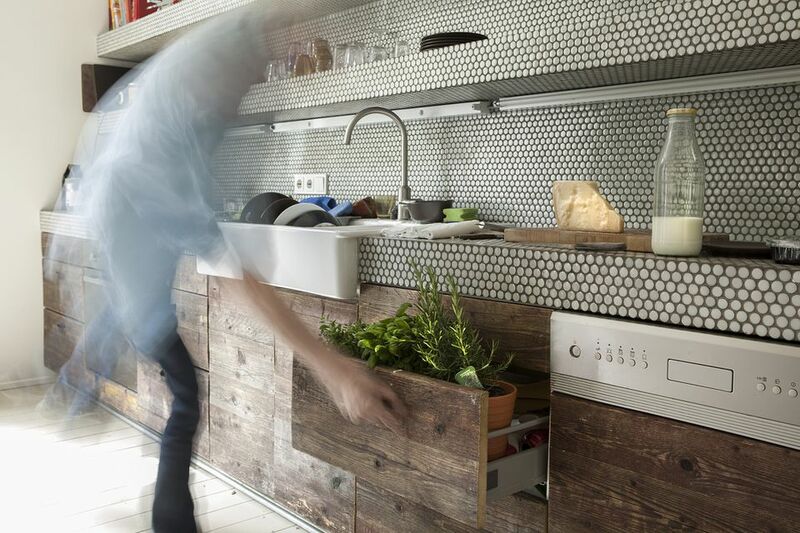 Need a resilient backsplash that can handle your hard-working kitchen? Before installing these wood tiles, coat them with a sealer to boost moisture and stain resistance. Once the sealer has cured, it's time to glue each tile to your kitchen wall using Liquid Nails, a heavy-duty construction adhesive. Just apply to the back of each tile and stick. Easy-peasy right? If you're a renter, use removable glue dots instead. Brooklyn resident Anne Sanger transformed her small, sad kitchen into a drool-worthy cooking space that makes her inner chef jubilant. The pièce de résistance is the showstopping backsplash. She pounded the pavement for ages to find the perfect tile to create it. In fact, she designed her entire kitchen around the Ming blue tile designed by Walker Zanger. Bold patterns aren't just for the brave and trendy. Nine different tile designs were used to create this traditional, white kitchen's timeless backsplash. Are you a retro video gaming fan? Then you'll appreciate this one of a kind backsplash created by Brown House Design. It was made using builder grade ceramic tiles. You can buy them at most home improvement stores in a variety of colors, sizes, and shapes including square, round, and hexagon. The trick is figuring out how many tiles to buy. A handy calculator will help you based on tile size and the square footage you'll be covering. Afterward, you can break down that number by color based on your design. Colorful tiny tiles from Modwalls will brighten up a dull kitchen stat. This kitschy pattern is from their Brio Collection which includes a broad selection of teensy glass mosaic tiles in stunning shades and textures. 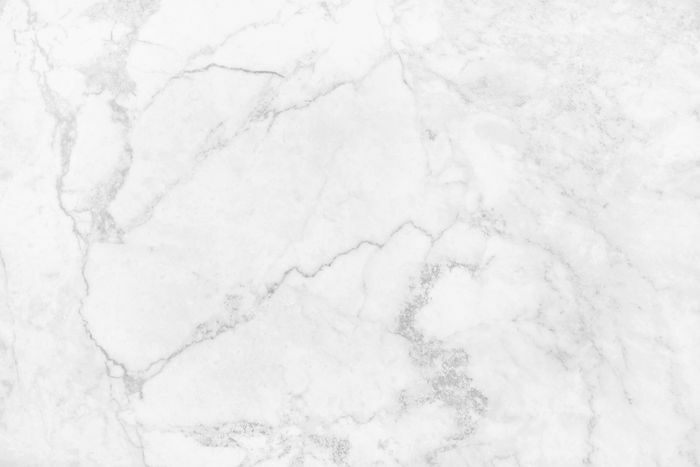 Backsplashes are one of those functional features you can have fun personalizing. Interior designer Daniel Heckscher created a minty-fresh one that plays with color, texture, and pattern. The dark green grout gives the glossy, square backsplash a graphic look. Yep, white kitchens are timeless classics, but they can leave you begging for a splash of bold color. A patterned backsplash like this one will quench that craving. It's the frosting on the cake that makes the entire kitchen feel special. Even better, it was created using inexpensive tile. Sure, subway tile backsplashes aren't a brand-new thing. But if you think they're old hat, take a good look at this eye-popping design that makes the most of the popular tile. These days, you'll find subway tile in a broad range of styles, colors, and patterns that you can combine in a gazillion different ways to create original layouts. Looking for a wow-worthy backsplash idea? This colorful three tone kitchen was already more than just lovely. However, the whimsical backsplash is what makes this cooking space super spectacular. It was created using Atomic Tiles from Heritage Tiles. Penny round tiles have taken a back seat to their hexagon shaped counterparts for more than a century. However, just like their six-sided cousin, these days the coin-shaped tile is popping up in fresh and unique ways in both vintage-inspired and contemporary kitchens. This colorful backsplash incorporates nine different shades of penny round tile. Adding playful shapes to a tile backsplash adds big interest. The bubble-shaped tiles used to create the organic edge field for this subway tile backsplash is by Mercury Mosaics. Looking for a unique backsplash idea that won't date quickly? If you have a traditional white kitchen, you can go graphic. This white backsplash combined with the classic beadboard cabinets bumps up this kitchen's timeless appeal while adding long-lasting pizazz. Hexagon shaped tile has become widely popular, but just like subway tile, it has enduring style. A yummy honeycomb backsplash gives this apartment kitchen a warm, vintage-inspired twist that's 100 percent modern.